Please join Philadelphia Media Network and the African American Museum in Philadelphia for a panel discussion on art and style. This Black History Month, Cassie Owens, modern life reporter for the Philadelphia Inquirer, Daily News and Philly.com, will take a closer look at local aesthetics— the way we dress, wear our hair, decorate our houses, approach art and more. She'll moderate a panel discussion bringing together voices from the worlds of fashion, hair, dance, music and visual art. 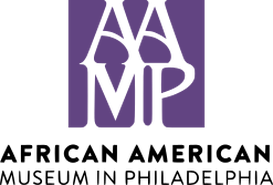 Guests will have access to the museum's galleries for the first half hour, including both of AAMP’s new exhibits, Black Pulp! and Went Looking for Beauty: Refashioning Self. Admission is free but registration is required. Wine and light bites will be served. Syreeta Scott is a nationally renowned hair stylist, who has worked for the likes of Ava Duvernay, Janet Jackson and Jill Scott. She opened her salon, Duafe, in 2001, a move that placed her on the vanguard of national haircare. In 2016, she opened the Sable Collective, a boutique with vintage fashion, jewelry, art and items for the home. Kemar Jewel is an choreographer, director and performance artist. He first gained widespread attention for a viral video called “Voguing Train,” which showcased dance from the ballroom scene. He’s toured internationally and is currently the creative director of the troupe Vogue 4 Lyfe. Shawn Theodore is a visual artist whose work encompasses both photography and street art, with a focus on capturing black life and culture in America’s changing cities. His work has been featured in exhibitions around the country. Jamaaladeen Tacuma is a critically acclaimed bassist and producer, having made a name for himself performing free jazz. He’s received a long list of awards, including a Pew fellowship and a place in the Uptown Theater’s Hall of Fame.